Recent Update: Uttar Pradesh Public Service Commission Advertisement For Recruitment To The Post Of Civil Judge. 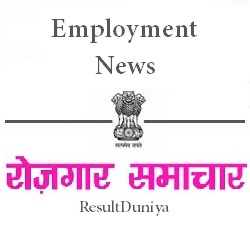 The Uttar Pradesh Public Service Commission formally known as UPPSC conducts examinations for recruitment to various posts.The recruitment is based on interviews, preliminary examinations and mains examinations.The UPPSC recently released an advertisement of UPPSC Civil Judge Recruitment 2015.Eligible candidates can now apply online for this vacancy. Uttar Pradesh Public Service Commission is conducting UPPSC Civil Judge Junior Division 2015 Exam.There are total 197 vacancies for the post of Civil Judge.Age required is 22 Years To 35 Years.Candidates can view the official advertisement on www.uppsc.up.nic.in under advertisements section.Interested candidates will have to submit their applications before 21st August 2015.Interview will be conducted after the main examination.The candidates who will qualify in this recruitment exam will be eligible for interview. Admit card can be downloaded after filling the application form.Please read below instructions. How To Apply For UPPSC Civil Judge Recruitment 2015 ? * Firstly the candidates will have to open the website given below.There is no direct link available soyou have to go step by step. * Then goto Notifications And Advertisements section and then click on "All Advertisements/Notifications". * Now you will see "उत्तर प्रदेश न्यायिक सेवा सिविल जज(जू0डि0) परीक्षा Advertisement No.A-3/E-1/2015 , 21/07/2015".Click on Apply Button. * Now you will see Candidate Registration option.Simply open it. * If you have ever applied for any notification published by UPPSC, simply choose YES otherwise if you are a new visitor then choose NO. * Fill the whole application form correctly. * Must recheck it before applying. * Finally after filling the form, click on Submit button. Educational Qualification: Graduation From Recognized University/Board. Application Fee: For Unreserved(General) category: Rs.125,For Other Backward Classes:Rs.125,For Schedule Caste And Schedule Tribes:Rs.65 And For Handicapped Persons:Rs.25 Only. Selection Process: Selection process will be based on Written Exam And Interview. There are total 197 vacancies.A total of 99 vacancies left for General Category students , 53 for OBC Candidates, 41 for SC, 4 for ST, 4 for DFF and the rest 39 for Women. The Pay Scale is from Rs.27700 to Rs.44770. The paper of Civil Judge will be of total 200 marks.There will be total 4 questions in question paper out of which one question will be of Essay Writing In English, one question will be of English Precise Writing,one question will be of Translation Of Passage From Hindi To English and the rest one will be of Translation Of Passage From English To Hindi.Each question will be of 60 marks.Therefore 60x4=200. The UPPSC Civil Judge Result 2015 will be declared after 3 weeks of conduct of mains examination.After the examination, interview will be conducted. FOR MORE INFORMATION ABOUT THE ADVERTISEMENT YOU CAN CHECK THE OFFICIAL LINK GIVEN ABOVE. All the candidates are requested to bookmark our website.If you have any problem regarding downloading or checking UPPSC Civil Judge Notification 2015 then please contact our website admin or you can simply leave a comment below.